National Airport Minsk is situated in 42 km from the center of Minsk. - take a TAXI: TAXI5, UBER, NEXT. To call a taxi is always will be cheaper than to hail a taxi on the street. In most cases, to pay for a taxi from the airport you will need cash Belarussian rubles. You can exchange money in the currency exchange at the airport (the difference in rates is very little to compare to the currency exchange in the city, so don't worry). The cost of a trip to the hotel IBB will be about 30-40 BYN (13-17 euros). To call a taxi at the airport you can use free wi-fi. To access to the Internet you will need to pass mandatory identification via sms-request through the network of any mobile operator. You can use Internet during 3 hours a day from one device. From central train/bus station to IBB hotel you can take a taxi (not more than 5 eur) or metro: from Ploschad Lenina (No 115) station to Petrovschina station (No 111). The cost of one trip is about 0.25 euros. Tokens can be purchased at the Metro by cash or via bank card. The hotel is only 600 m from the metro. Minsk isn't the most advanced, wealthy or famous city but it's safer than Warsaw, cheaper than Kiev, less crowded than Moscow and cleaner than most European capitals. Moreover it has its own spirit and interesting history. The city of Minsk is located in the middle of Belarus and is the Capital of the Republic of Belarus. For the first time Minsk was mentioned in 1067. Almost completely rebuilt after destructive WWII, nowadays it occupies an area of 255.8 km2 and it has a resident population of around 2 millions people. Wide streets, modern and old architectural ensembles, fountains, shady parks and green boulevards well deserving the opinion of being one of the best cities of the former Soviet Union. 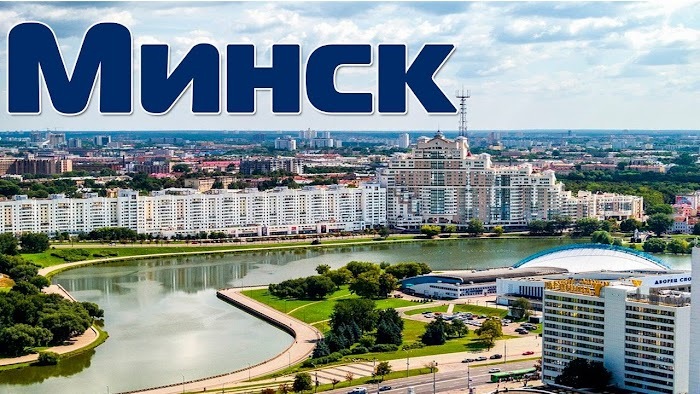 If you plan to arrive in Minsk not later than Friday morning, you'll have a chance to learn more about our wonderful city during SIGHTSEEING TOUR! Local currency: Belarusian rubles. There are many exchange offices and boothes in the city, the difference in rates is very little. Languages: There are 2 national languages in Belarus: Belarusian and Russian. The majority of people speak Russian. If you want to address someone and don’t speak Russian, you can do it in English, most young people will understand you. Restaurants & Cafes: on working days they are open till 23:00-00.00, on weekends – some can work till 02.00 or 04.00. But not all restaurants serve food at night. Smoking is allowed on open terraces. In most restaurants you can pay by card. In the city - it is very easy, cheap and convenient to take metro. 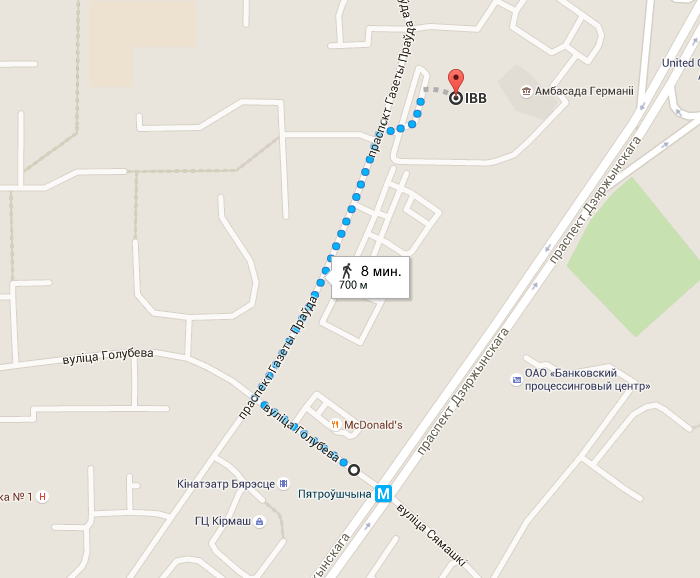 To get from IBB hotel to the city center takes only 5 stations: from Petrovschina (No111) to Kastrychnickaya (No 116). The cost of one trip is about 0.25 euros. Tokens can be purchased at the Metro by cash or via bank card. Metro is open every day from 05.30 to 01.00. Registration in Minsk – is obligatory if you plan to stay more than 7 days! Foreign citizens have to register in the migration office according to their place of stay within 5 working days. You need to keep the migration card that will be given to you at the border. If you stay at a hotel, you will be registered there. Otherwise, please, check information here. Lithuania, Latvia, Russia and Ukraine citizens can be present in Belarus for up to 30 days without registration.